Cultivating your Indoor Garden is Quite Easy! While it may seem complicated and sophisticated to cultivate an indoor garden, it really is as simple as planting outdoors. In addition, Indoor gardening allows you to design a layout according to your preference. Not certain and need extra assurance? 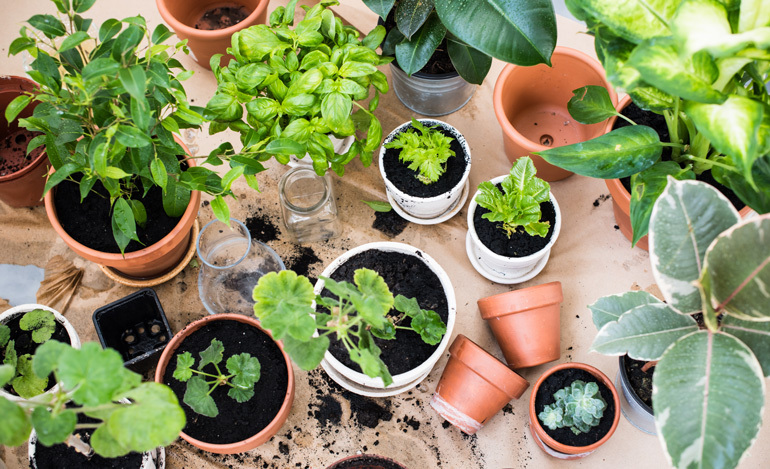 Here are some tips to take into consideration in order to successfully grow your indoor garden. 1 - Begin with plants that require easy-care. In other words, it won’t die if you forget or was too busy to water it for a day or two. 2 - Select indoor locations for your plants carefully. Consider having easy access to water them and make sure that enough natural sunlight reaches the plants. 3 - Water the plants bottom up (pot’s dish) rather than only pouring water directly to the soil. This way the plant’s roots could reach the water through the holes at the bottom of the pot, or else the pot will flood and not all the roots might get in contact with water. 4 - You do not want your plants to dehydrate and die of heat or dryness so make sure the pot is nowhere near a heating system of any kind. 5 - Do not over water your plants as this is one of the main causes of death of indoor plants. Examine by pressing your fingers into the soil and removing them, traces of the soil will stick to your fingers. If not, then add some more water. 6 - Spray your plants’ leafs and stem with water occasionally as it will contribute positively to the plants growth and well-being, especially if the house is air-conditioned or centrally heated as the atmosphere could become dry. Make sure to use a spray bottle or atomizer. 7 - Add some fertilizers to the soil in small quantities every 2 – 4 weeks as per instructions written on the label. Use complete liquid fertilizer as this is fastest and simplest method to provide extra benefits to the indoor plants. 8 - You can use ice cubes as an effective and efficient way to water the plants. Simply place few cubes of ice on the top surface of the soil and allow them to melt gradually supplying the plant with water.